Join us for delicious meals with a warm and friendly atmosphere. 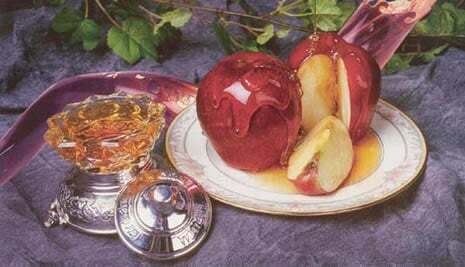 Enjoy the traditional Rosh Hashanah foods as well as a delectable selection of other foods. Sunday 9 September - 7:30PM. Monday 10 September - 7:30PM. We will have additional Shofar blowing during the afternoon of both days for those who are unable to make it to the synagogue to hear it. Please let us know if you would like to hear the Shofar and we will try to arrange for it to be sounded for you. £28 adults - per person, per meal for dinner. £18 students (aged 18-30 and in FULL-TIME education) - per person, per meal for dinner. You may be asked to show your student card. £20 children up to Bar/Bat Mitzvah - per person, per meal.